he South American Origin Tauari (also called brazilian oak) hardwood flooring is a little bit special comparing with other tropical wood species from South America. Tauari is more similar to cold climate area grown hardwood like oak,beech etc. First,tauari wood hardness is only 1650psi while other wood species from South America country comes more than 2500psi,like garapa,ipe,cumaru,brazilian cherry etc. Second,tauari wood flooring is not so sensitive when expose on sunlight as to Cumaru,Jatoba etc. Third,the wood grain comes more with straight & fine,similar to beech wood. 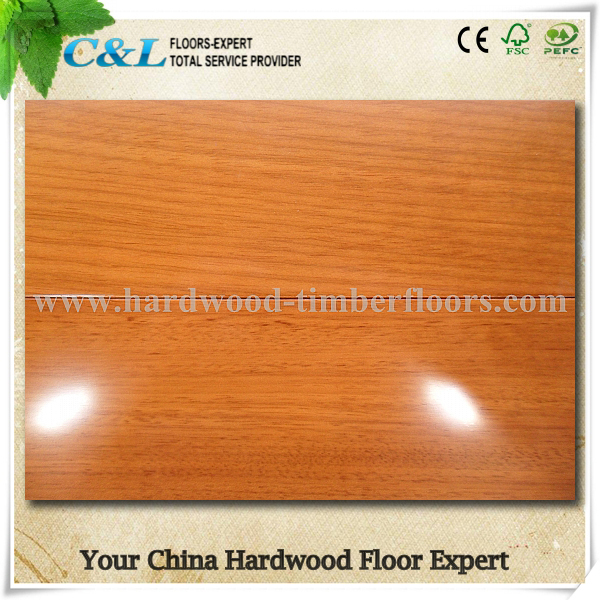 Although tauari is not so hard as cumaru,still it is a very good wood material on strength,& dimensional stability on hot & wet conditions,therefore tauari hardwood flooring is considered as a qualified material for solid wood flooring use. Normally RLX5"X3/4" tauari (BrazilianOak) solid plank floor with T&G Prefinished or Engineered T&G with 0.6-3mm toplayer are what we can supply.